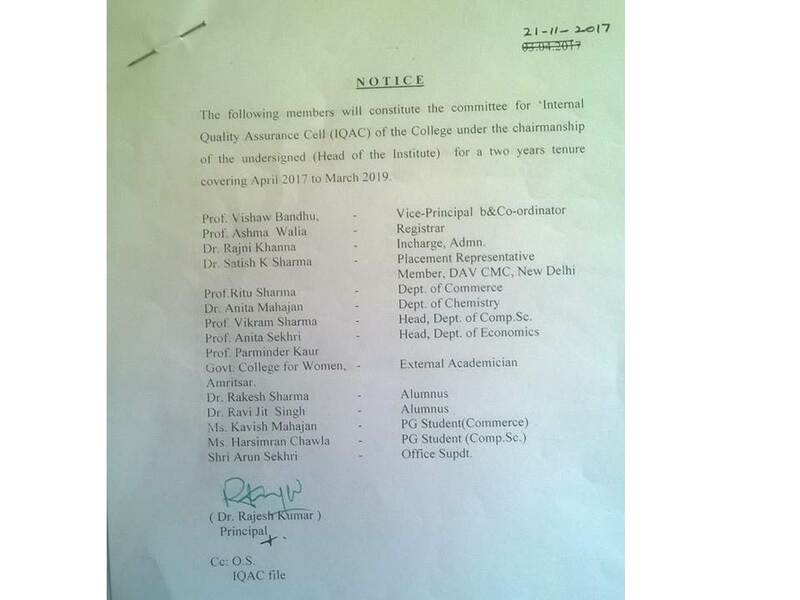 NEWS A guest lecture on ‘Changing Trends & Job Avenues in Media’ was organized by the department of Mass Communication & Video Production on 17 July. Ekta Suri, Senior Principle Correspondent & Anchor (Zee Business & Zee News, Mumbai) was the keynote speaker at the event. Ekta Suri who has been associated with the various media organizations like NDTV & CNBC etc and also an alumni of DAV College elaborated on the importance of Social Media in today’s world and told the students about the various and new job opportunities available in the world of social media. 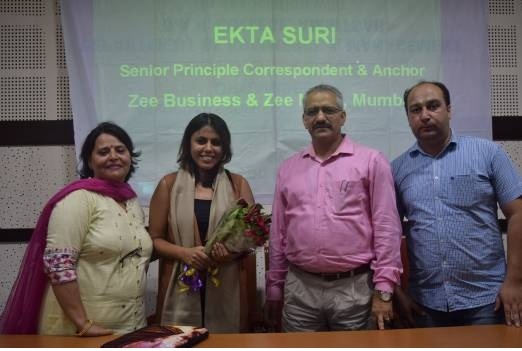 During the event Ekta Suri who works in the beat of Lifestyle & Entertainment in Zee Business told the students that the basic funda of media world is “the show must go on”. She explained that nowadays people are so much hooked on to the social media as it has become a very integral part of our life.